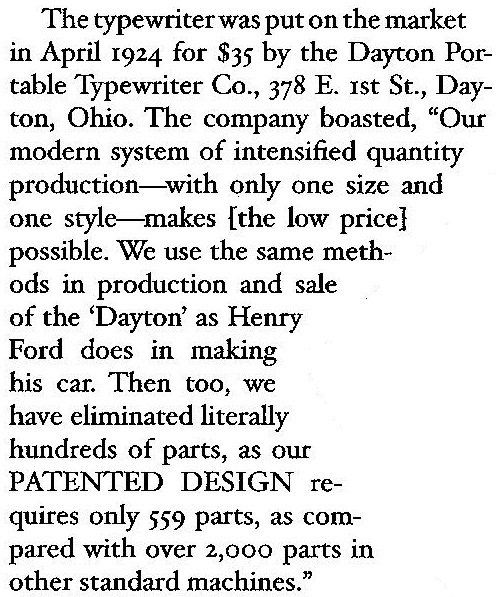 But while 15 million of Henry Ford's "Tin Lizzies" were made in Michigan from September 1908 until October 1927, unfortunately the Dayton portable typewriter pretty soon ran out of gas. 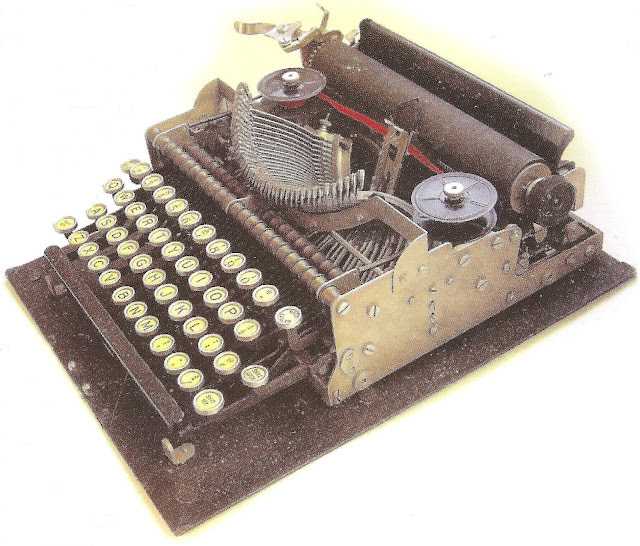 It seems Carpenter made the fatal mistake of naming his portable typewriter in honour of his then home city - and it was fated to fail! 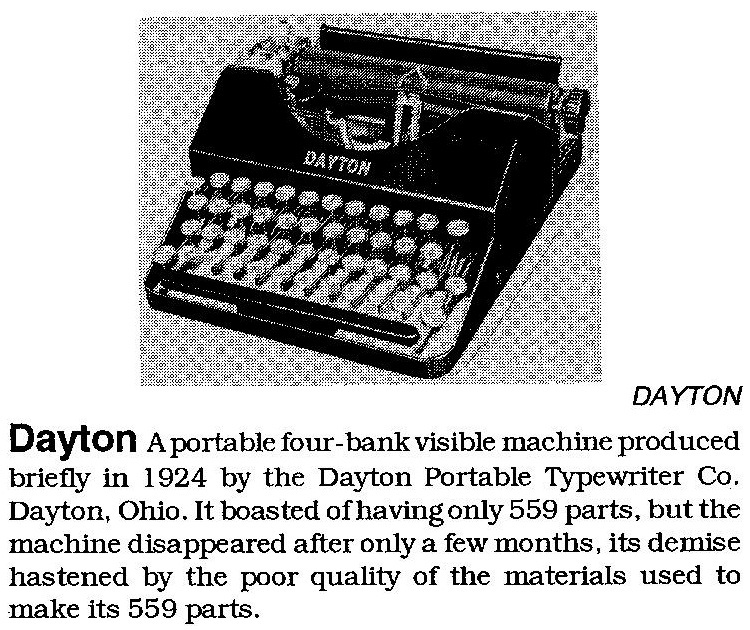 As typewriter historian Paul Lippman was later to point out, Dayton was doomsville for typewriters: the Carpenter portable was one of at least four typewriters to be born and die in their infancy in the Ohio city. 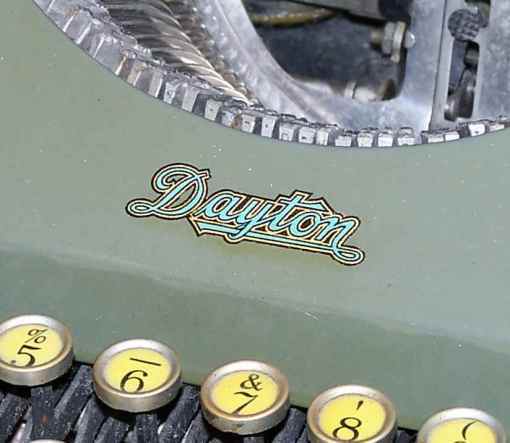 While for typewriters Dayton might have been the City of the Damned, for other things it was a haven of invention. Wikipedia tells us: "Historically, Dayton has been the site for many patents and inventions since the 1870s. 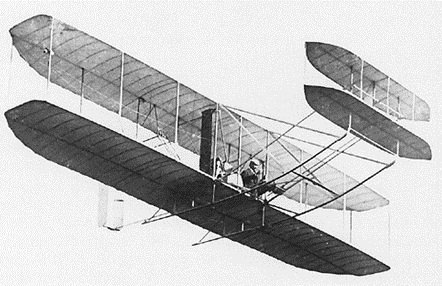 Famous inventors such as the Wright Brothers ... and Charles F. Kettering ... came from Dayton. 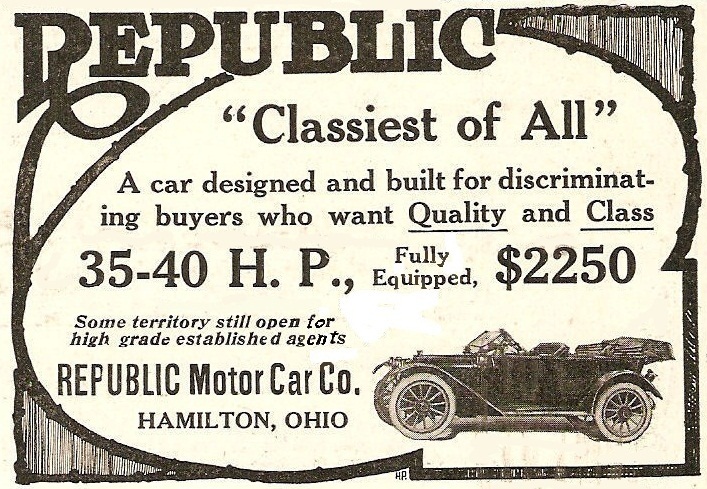 According to the National Park Service [which] cited information from the US Patent Office, Dayton had more granted patents per capita than any other US city in 1890 and ranked fifth in the nation as early as 1870." 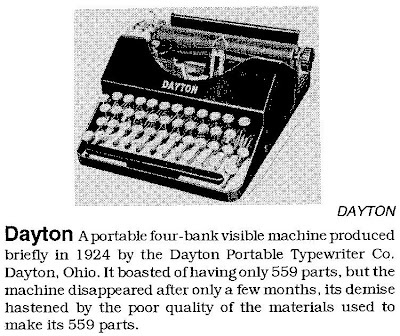 The Dayton portable typewriter did go into production. 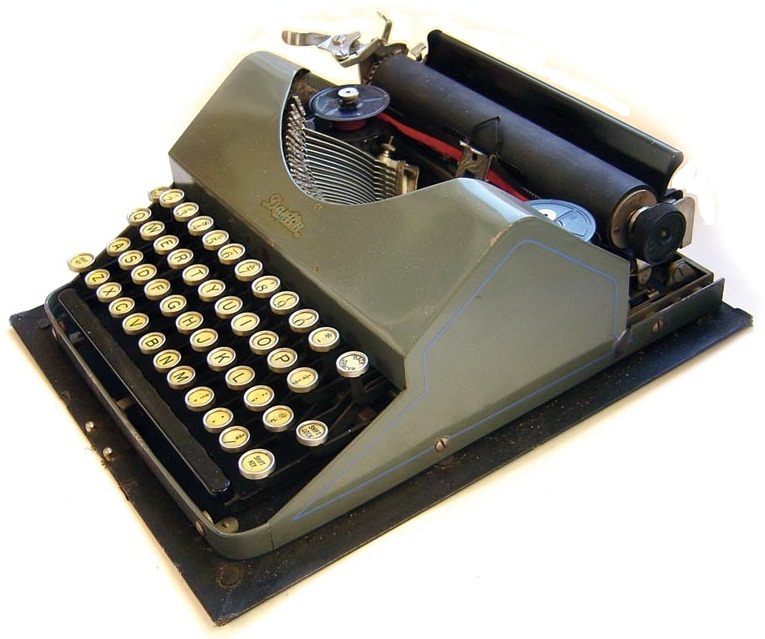 Today, however, it is an extreme rarity, one of those little treasures typewriter collectors dream about possessing. One of the lucky owners is our friend Richard Polt, who wrote about his Dayton in the March 2009 edition of ETCetera (No 85). 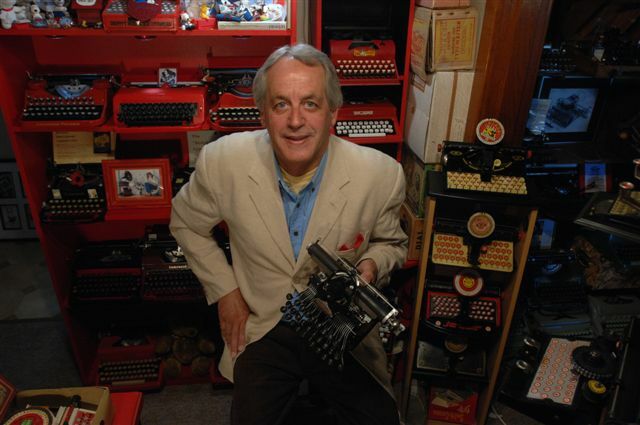 Richard had won the bidding for his Dayton, lot 152 in the November 2008 Uwe Breker auction of the former Onondaga Historical Association's typewriter collection. The Dayton from Richard's collection is seen above. Earlier, Richard had said, "Unimpressive in its looks, with an awkward profile and drab paint, the Dayton doesn't have the best reputation among collectors - nor does the city where it was made." Richard pointed out that Paul Lippman had written, "Dayton's most lasting claim to fame in the world of the typewriter must be the many machines that failed in this single city in Ohio" - listing as others the Rapid, Bennington and Jundt. 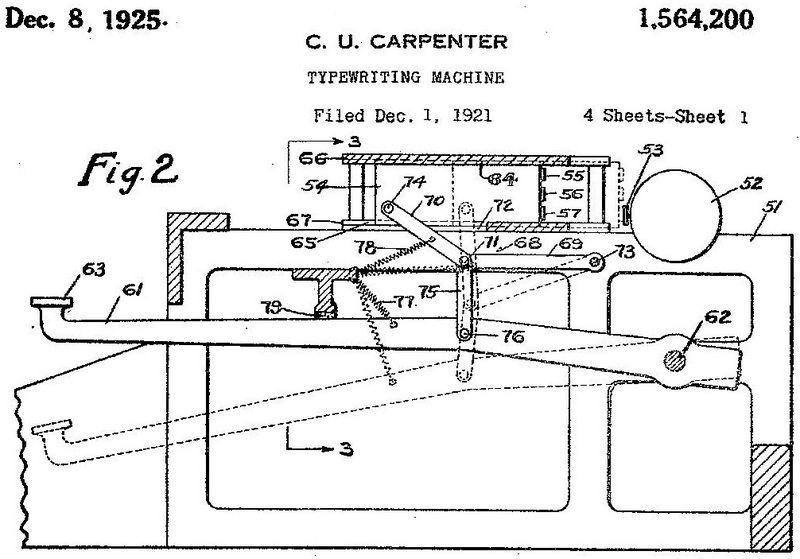 The Dayton typewriter was dead and buried by the time Carpenter himself died and was buried in Dayton, in 1928.
his ETCetera article of three years ago. 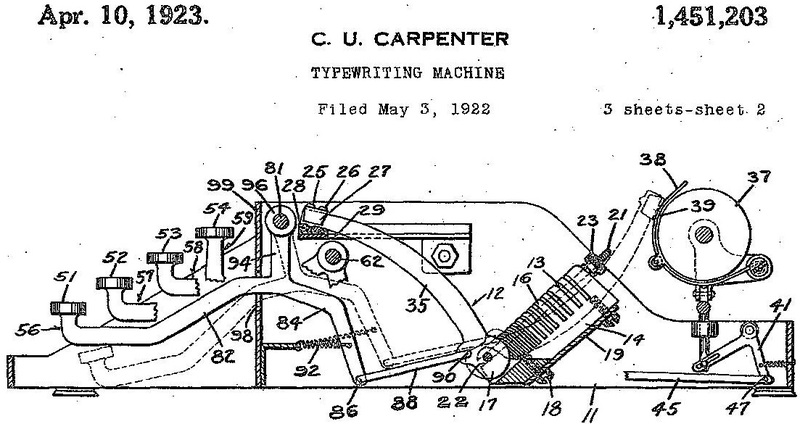 For all that, Charles U.Carpenter's ill-fated Dayton portable typewriter did have at least one very important and lasting impact. It inspired the famous Rooy, once described by Will Davis as the "Holy Grail of Typewriters". 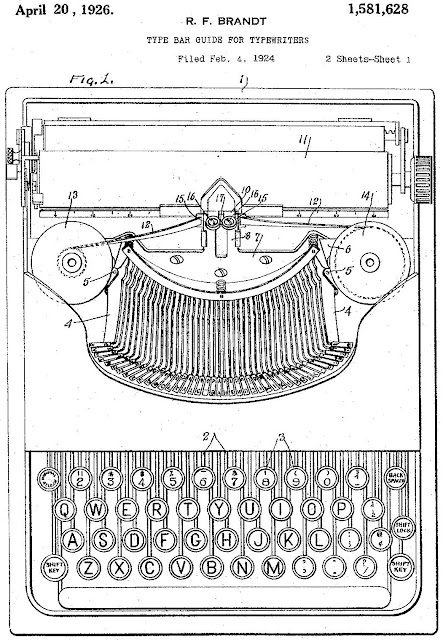 When in 1945 Joseph Louis Adhémar Borel applied for a US patent for the type action system of his marvellous portable typewriter, he referenced Carpenter's 1923 design. Among others, Borel also saluted James Denny Daugherty (1909), Emmit Girdell Latta (also 1923), John Henry Barr (1928), Otto Haas (1936) and Leopold Ferdinand Pascher (1944), all of whom, like Carpenter, had set out to build low-slung, compact portable typewriters. 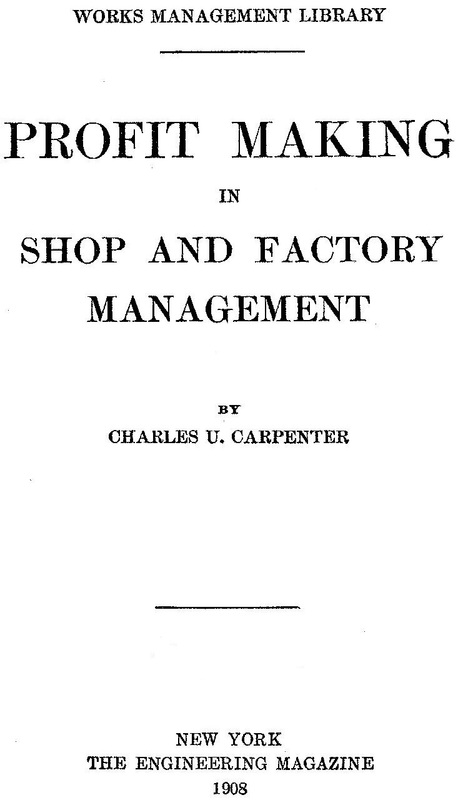 In 1908, Carpenter had published Profit Making in Shop and Factory Management. 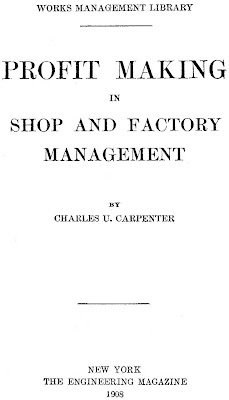 In the preface, editor John R.Dunlap explained the book was "a concise expression of the methods which Mr Carpenter has developed and which he constantly uses in his own practice. 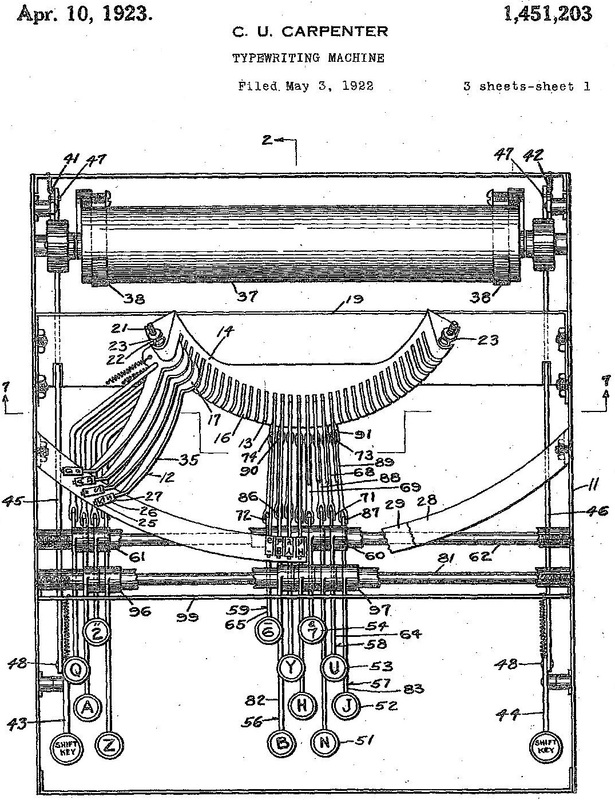 They have been tried and perfected under the stress of daily operation in the course of his experience as supervisor, manager, head of the labor department and president of various large manufacturing plants, notably the National Cash Register Company and the Herring-Hall-Marvin Safe Company, of which latter concern he is now chief executive. The contents of the book appeared first in the form of a series of articles, prepared for and published in The Engineering Magazine during the year 1907." 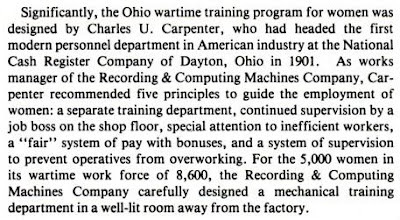 Carpenter based his theories largely on his experience of having worked with Dayton-born entrepreneur John Henry Patterson, who Carpenter described as "the brilliant president of the National Cash Register Company of Dayton, Ohio". Patterson founded that company in 1884. 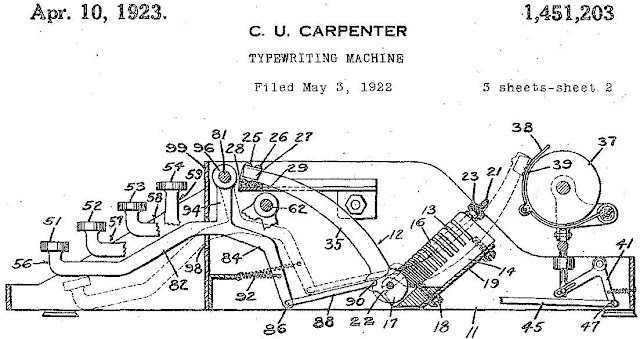 He was, said Carpenter, "the first businessman to grasp the possibilities that lie in the training of the salesman. Through his genius, his company has developed probably the greatest and most efficient selling organisation in the business world today. His example has been followed in the manufacturing business by such concerns as the Burroughs Adding Machine Company and the Herring-Hall-Marvin Safe Company, with decided success." 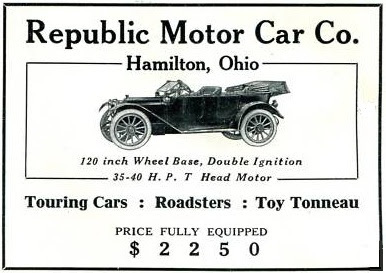 One of the Ohio companies with which Carpenter was involved was the Republic Motor Car Company, of Hamilton, which sadly also went the way of his Dayton typewriter. 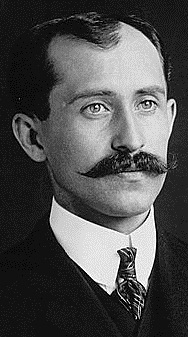 And all because it tried to out-race Dayton-born Orville Wright! 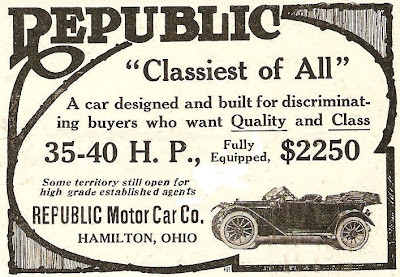 The Republic Motor Car Company built a $500,000 factory in Hamilton in 1909, setting out to "manufacture a high-grade, medium-priced automobile of standard design". 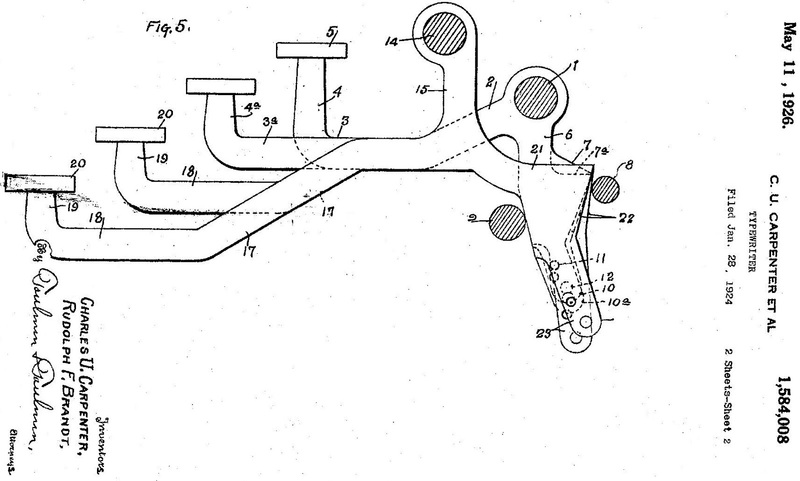 The company was founded by George Adam Rentschler and lasted until 1914. 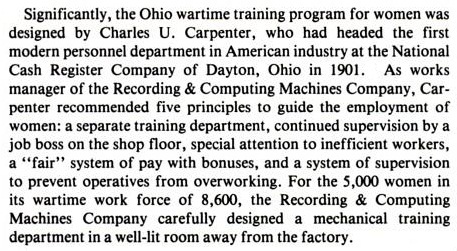 Carpenter was one of three "promoters of the enterprise". He was vice-president under Rentschler. On Thursday, September 22, 1910, in a promotional event which backfired on the Republic car, Orville Wright piloted his aeroplane over Dayton and vicinity, covering about 22 miles in 25 minutes. Wright "looked down on the 60-horsepower Republic going as fast as it could and kept about even with it until it was necessary to go ahead; then he let the wings of his air bird flap a little faster and he went by the Republic like a shot." Wright won by about a mile, as "the whistles of the city blew and the thousands cheered". Charles Underwood Carpenter was born in Indiana in January 1872. He was living in New York in 1908, moved to Miamisburg, Ohio, in 1912 and then settled in Dayton in about 1914. He died there on January 15, 1928. 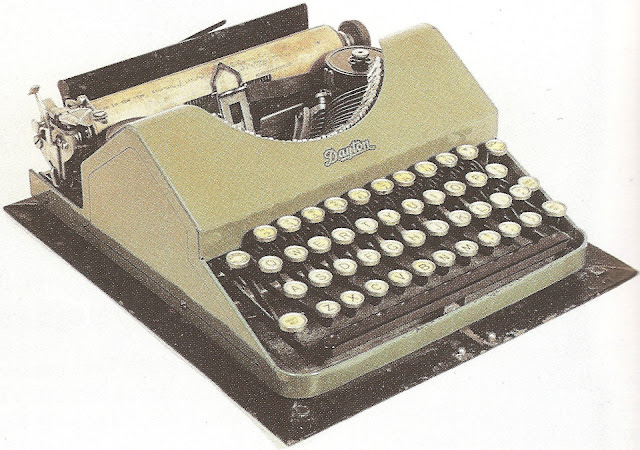 Carpenter's chief associate in the Dayton Portable Typewriter Company venture was a then local young man who had came from a inventing family background, Rudolph Frank Brandt (born Dayton, August 21, 1889; died Orange, California, March 15, 1977). Thanks for this story. 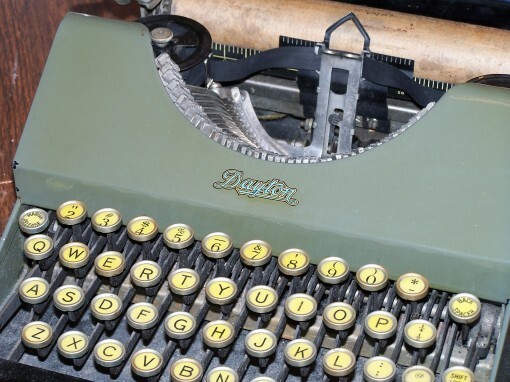 I was so happy to get that Dayton, because snooping around the city of Dayton itself (which is about an hour from my home) had not turned up any such typewriter. 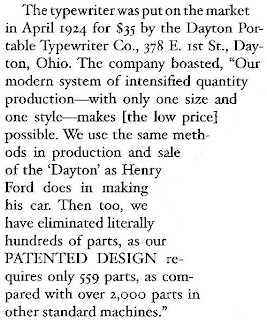 I suppose the most successful Dayton-made typewriter was the NCR combination typewriter/adding machine, a monster that was made, in small quantities, for several decades, I believe.